The PA West Open Tournament at Edinboro University! Click here to register for the PA West Open Tournament @ Edinboro University. Each year MAYSA takes several teams up to Edinboro University to participate in the largest western PA Youth Soccer Tournament. It is a wonderful experience! The tournament is often a great weekend with the MAYSA community setting up in an area with grills, food, and fun. If you would like to learn more about the tournament details, click here. If you are interested, you will need to register soon. The tournament deadline is approaching quickly. In that past, occassionally, PA West has extended the deadline but there is no guarantee that it will be extended. Once teams are formed, further information and tournament schedules will be available from each team's coach. To begin the registration process, click on the Registration Tab above. The Spring Soccer registration deadline is February, 23rd. New to soccer? Never coached youth and children before? Not a problem, we'll teach you. U.S. Soccer has made it easier then ever to get started and learn how to coach youth soccer. Now with U.S. Soccer's online entry level course you will be taught everything you need to know to provide productive and fun practices for your players. The course is online so you can watch and complete the course at your convince and it only takes about 90 minutes. Also, at the end there are weekly practice outlines, forms and drills to help you through out the season. 1. PA West & U.S. Soccer's Entry Level Online Course (F-License): Now learning how to coach soccer has never been easier! This year PA West, U.S. Youth Soccer and U.S. Soccer have continued their commitment to parent/coach training by making it easier than ever before to learn about soccer and youth coaching. U.S. Soccer is in the process of making its vast resources available online. This year, for the first time new coaches have the opportunity to take U.S. Soccer's entry level (beginner) F-Licensing course, online. The course requires about 90 minutes of your time, it is completely online and at its conclusion provides great practice and planning resources. Taking this online course would fulfill PA West's Parent/Coaches educational training requirements. MAYSA recommends U.S. Soccer's F-License as the best option for all those just beginning and interested in coaching youth. 5. The "Small-Sided" Game (SSG): SSG is a FUN environment that focuses on the young soccer player. Small-Sided Games are developmentally appropriate environment for our youngest soccer players. MAYSA, strongly supports . . . to read more click the image below. First Aid/Injuries: Over the years MAYSA as enjoyed few incidents, however last year we did experience a broken arm. As coaches we must be prepare, however, at the same time MAYSA is not a drop off league so parents should be nearby. We have several First Aid equipment bags and ice available at the Concession Stand. If you would like to carry your own with you, that's fine. Always, error on the side of caution and contact the Parents immediately with respects to any potential injury. With any potentially serious injury, immediately contact 911, the parents and the MAYSA On-Field Coordinator. Our Coordinator will document the injury and follow up with the Parents. Equipment: We will have the new equipment (bags, balls, etc..) at the fields for the first evening of practice. There will always be both a hand pump and compressor available at the Concession stand or a car next to the concession stand. Also, I will always have a hand pump with me at the fields. Game Lengths: Beginners play four (4) eight minute-10 minute quarters, Juniors play two 25 minute halves, Seniors play two 30 minute halves. Major Take Away: Take some time to 'prepare', use small groups and keep it fun. You've had a successful In-House coaching season, if your players are smiling and want to come back! "Professional coaches measure success in rings. College coaches measure success in championships. High School coaches measure success in titles. Youth coaches measure success in smiles." -P. McAllister, Youth Coach. 7. Child Protection Clearances: PA State law requires all coaches to complete three child protection risk management procedures: (1) PA State Criminal Background Check, (2) PA Child Abuse History Clearance and (3) FBI Criminal Background check or Volunteer Qualification Affidavit. Further, completed clearance information must be provided to PA West Soccer, our governing organization. 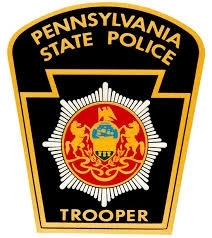 (a) Complete PA State Police Criminal Record Check Online. There is a $10 fee. MAYSA will reimburse coaches completing the process. If you have a copy of your current Criminal Record Check, you can use it instead of obtaining a second Criminal Check. (b) Complete Child Abuse History Clearance Online. Again, there is a $10 fee. MAYSA will reimburse coaches completely the process. If you have a current Criminal Record Check, you can use it instead of obtaining a second Abuse History Clearance. Next, if you have lived in PA for 10 or more consecutive years, then goto step (c) and skip (d), otherwise goto step (d). (c) Complete Volunteer Qualification Affidavit. Download this .pdf file and complete it. This step is only for those who have lived in PA for 10 or more consecutive years. If you have not lived in PA for 10 consecutive years, you must perform step (d). (d). Only perform this step if you have not lived in PA for 10 consecutive year, you must complete an FBI Criminal Background Check including fingerprinting. The cost approximately $27.50 and MAYSA will reimburse coaches completely the process. If you know that you will need any of the clearances above, please get started. If you are not sure contact us. Prior to the start of the season we will be going through the system and notifying those of you who need to obtain your clearances. (e) PA West Soccer coaches and referees are required to upload copies of your clearance documents into the PA West Soccer Online Risk Management System. Using this link and your current login info (used to register your kids) or a new login and password to upload your clearances and complete the process. You will not be registered as a coach, assistant or referee by PA West until this final step is completed.